Hey sweeties! Wow I've been really inactive lately to all social media because I was having a hard time managing my blog while at work but since I'm early today, I will give you an overview of the Piolang 24K Gold Wrapping Mask from Althea Korea. You have probably seen that my latest post before this is Unboxing my 2nd Althea Beauty Box. It is the first box that I actually purchased from Althea after the sponsored one, but nothing has changed! Their service is really amazing! I was very excited to get the package because it contains the brushes and my most awaited mask. And tadaaaa! Look how luxurious it is! 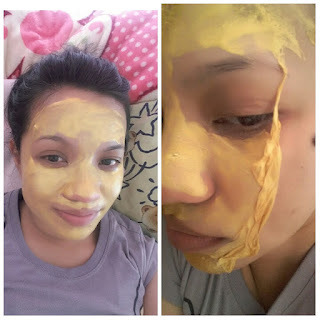 Say goodbye to dull, lifeless skin with Cleopatra's 5000 year old beauty secret, The Gold Mask Treatment! This luxurious, pampering treatment helps improve the appearance of fine lines, wrinkles, pores, for a youthful looking complexion. 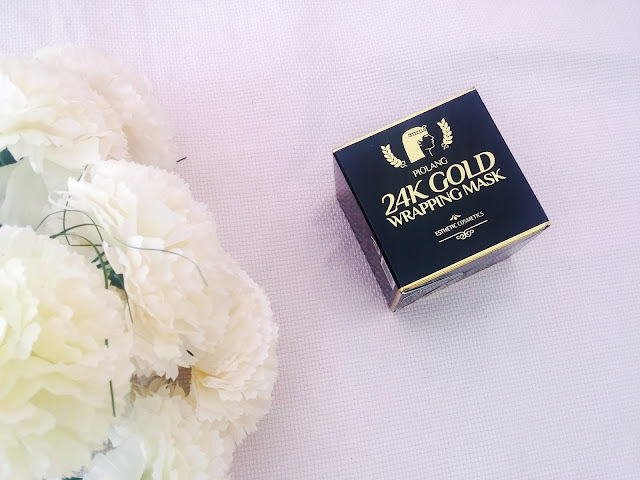 Upon use, the luxurious gold blankets soothes and calms your skin, locks in hydration, promote skin renewal, and evens out skin tone. 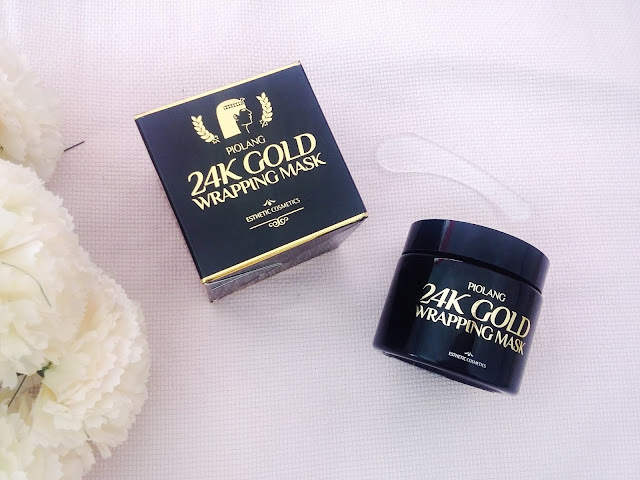 The Piolang 24K Gold Wrapping Mask uses only 99.9% pure and real gold. Gold ion is very similar as a light voltage in the body which activate skin function, and when it touches the skin, it infuses into skin layer to make skin healthy and vivid. 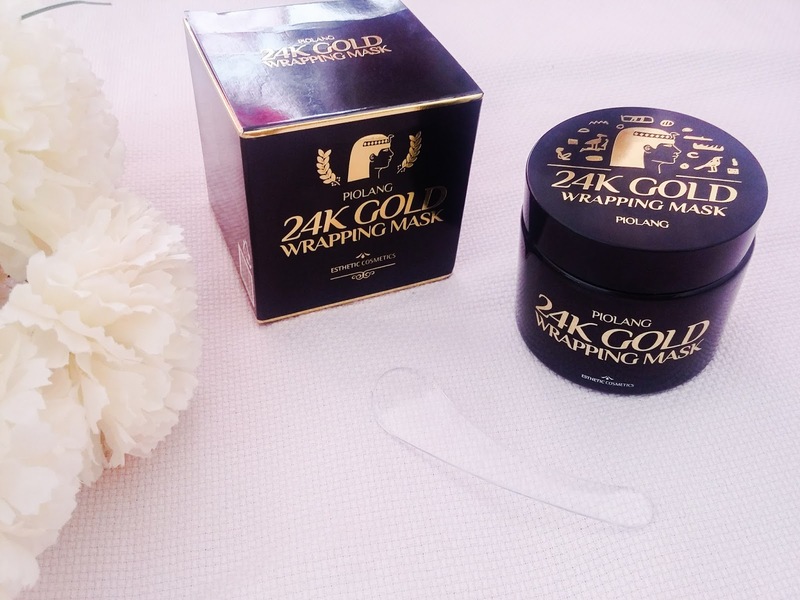 A pure gold with amazing skin purification effect to lighten up skin tone & give tension to form boing boing and firm densed skin. Extracts from the white willow leaf has an excellent benefit to calm down skin to give elasticity and pore convergence. Reduces irritated skin and promotes natural production of collagen. It protects from sun and prevents premature aging symptoms, such as fine lines and wrinkles. 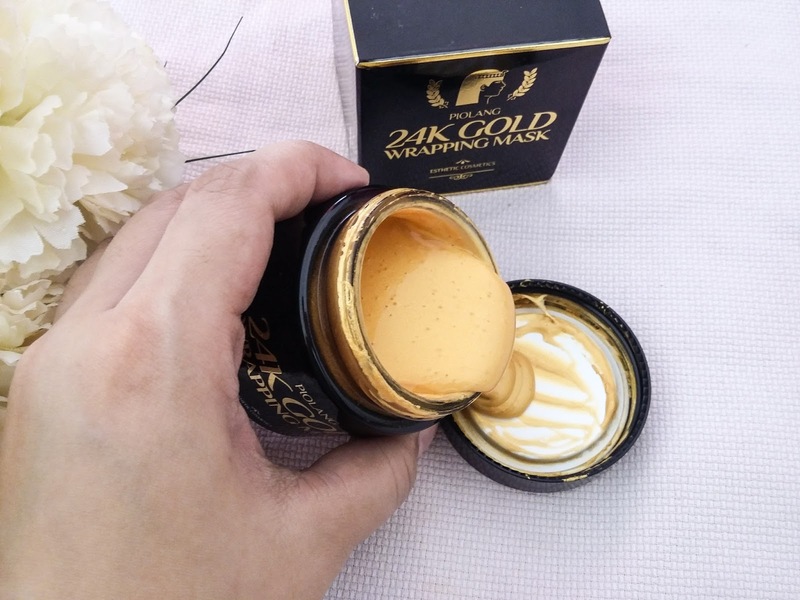 It comes with a black and gold packaging and glass jar with Egyptian print on it, a plastic scoop that is very flat and useless. Well it's okay to use this as a scoop for the product to keep it clean. See that oozing gold consistency? Feels very luxurious! However, I find it hard to spread to be a mask. When applied on the face, it feels really sticky, and even though I already put enough product, it still doesn't form a mask. It even took 20 minutes or more before I can peel it off. While it is drying on my face, it feels as if I am being steamed to the extreme level. I was never going to believe the claims that it can make the skin super smooth and have that boing boing feeling, but until I felt it with my own skin, it was really amazing! I'm using this one during weekends only since I'm always tired after work. But it feels very refreshing after peeling it off. It feels like I just washed my face with cold water. Maybe it will take me about 3 months or more to totally consume the jar. I still haven't noticed tightened pores but I'm looking forward to it. This jar costs Php2,400 regular price on Althea but discounted price is Php 800. Wow!! Amazing mark down!! And I will buy again after the jar is emptied.